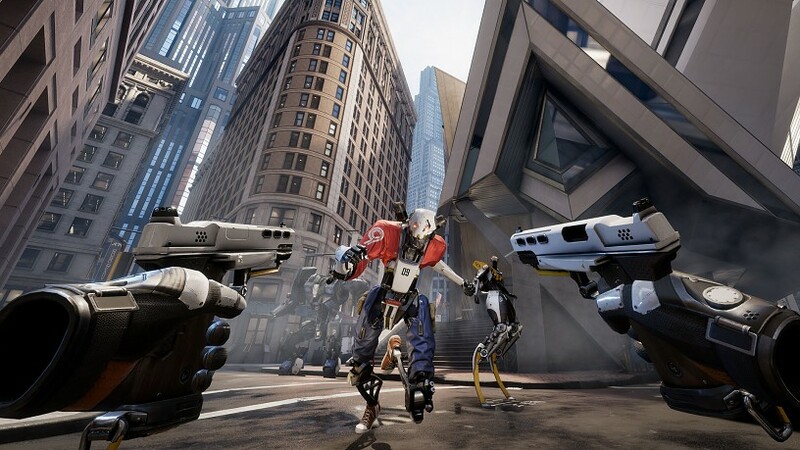 Road To VR recently went hands-on with Robo Recall, the recently-announced VR first-person shooter from Epic Games. The above video shows 12 minutes of gameplay, including the first teleportation movement and target shooting tutorials, to give you a sense of how Robo Recall will play. 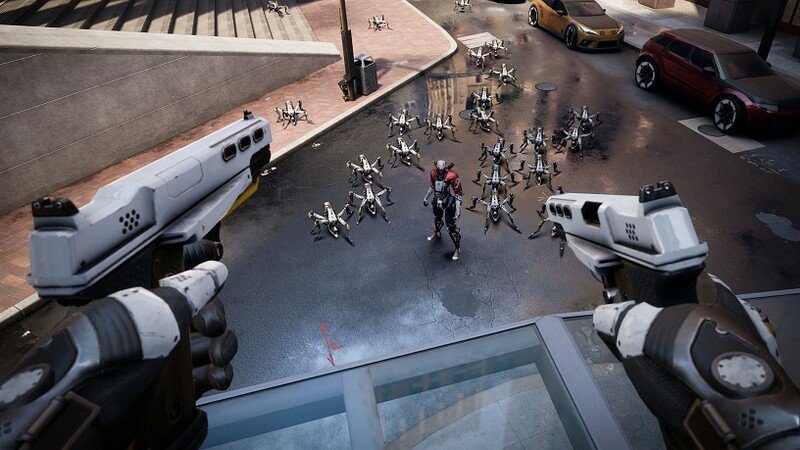 In Robo Recall, players teleport to markers on the ground by aiming at a location, and rotating the stick to choose which direction they’ll be facing when they complete their teleportation. Weapons are wielded akimbo, and are reloaded by throwing them away and reaching down by your sides to pick up new ones. Enemy robots can also be picked up and thrown with the Unreal Engine 4’s physics system. While picking up a robot, players can use their other hand to “dismantle” the enemy by ripping off robotic limbs one by one. Robo Recall was originally announced at Oculus Connect 3 last week. It clearly builds upon the foundations of Epic’s Bullet Train Unreal Engine 4 VR tech demo. Currently, Robo Recall is exclusive to Oculus Touch, and will be free for anyone who owns the controllers when the game is ready sometime in the first quarter of 2017.